As a dealer group thoroughly committed to its customers, Waterhouse provides great and frequent offers on Volvo car servicing and parts. 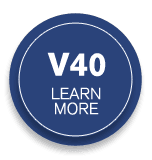 We provide an expert and competitive level of aftersales service for your Volvo vehicle, helping you to keep the cost of your car’s maintenance down. You can submit an enquiry form on the ‘Latest Offers’ section on our website to find out about our current offers on Volvo servicing and parts. It’s quick and painless, and our team will respond as quickly as possible with all the information you require. Keep an eye out for our latest Volvo servicing and parts offers on our website. Alongside our great deals, our Price Promise guarantees you real value for money and a quote that won’t be matched by any other around. Your vehicle is in the best hands possible when with us at Waterhouse. As an authorised Volvo garage, we only use manufacturer-trained technicians and genuine Volvo parts. Which makes our offers even harder to refuse. Visit us today at our Waterhouse Volvo centre in Chelmsford. Our helpful and knowledgeable sales team are on hand to explain our current offers on Volvo servicing and parts in more detail.